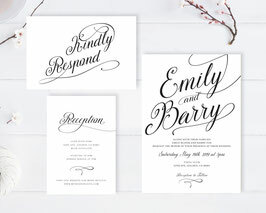 Ask your family and closest friends to come and celebrate the special day of your life with our Classic Wedding Invitations. 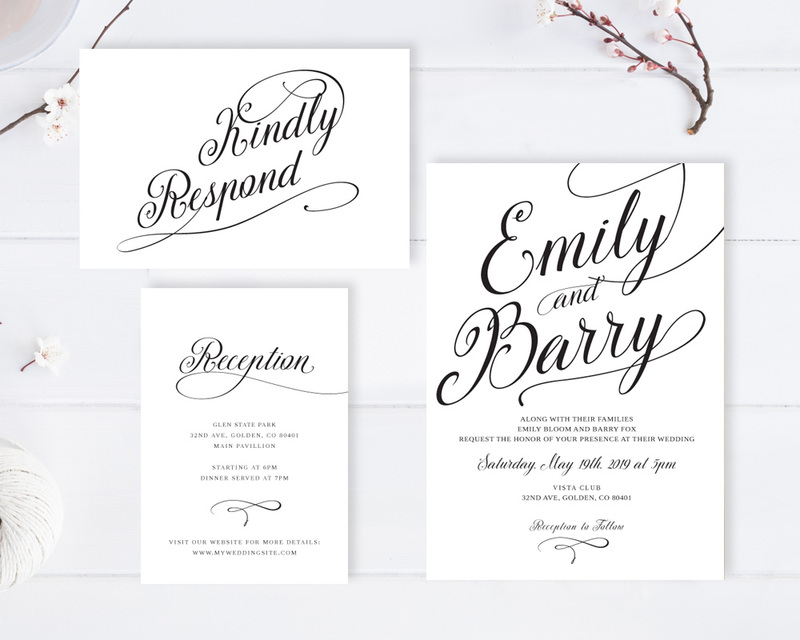 Simple, yet sweet, our black and white invites sets will inform your guests about the details surrounding your soon-to-be wedding. This set includs: invites, RSVP postcards and extra detail cards.